Kenya's golden voice Avril (@avrilkenya) recently released a video for her song Hakuna Yule (Missing You). 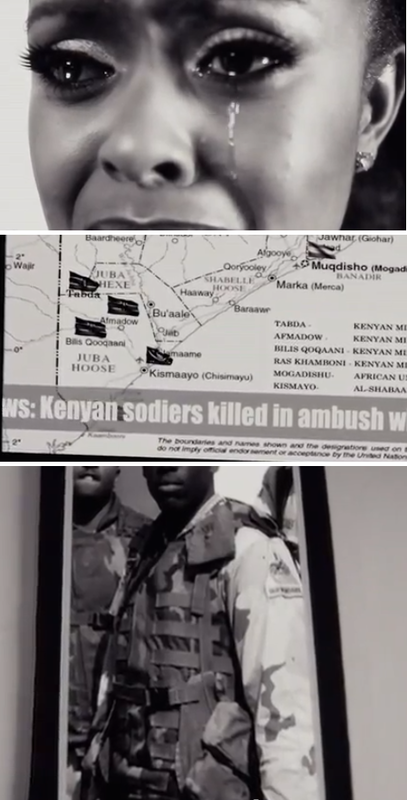 Though this is a simple black and white project, the story is very poignant especially at the end, when Avril fears to have lost her love after she sees a TV report mentioning that a soldier has been killed in an ambush. This just reminded me of the struggle some families, who have their loved ones on the battlefield, go through. We have to keep people who fight to defend their nations in our prayers and hope that countries such as Mali and Congo gain back their stability. Avril brought that special inspiring touch in this video, making it one of my fave. Enjoy!